The beautiful Himalayan Cat combines the exquisite colouring of its Siamese parent with the plush and majestic coat of its Persian parent breed. The Himmie, as it is also called, is virtually a Persian with a colourpointed coat of a Siamese. It is a laid-back lap cat that can melt cat owners’ hearts with its expressive eyes and soft voice. It is a wonderful pet for families as it is very adaptable and is good with children and other animals. 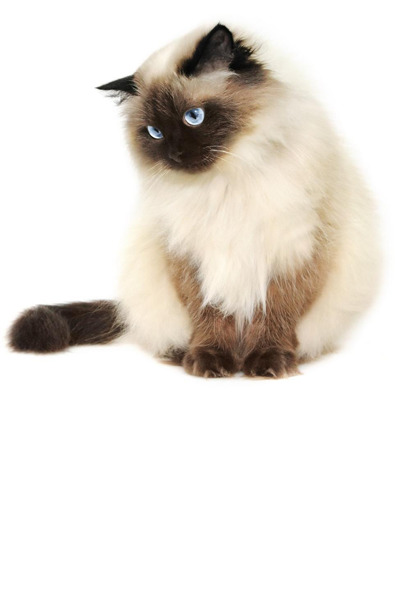 Are you interested in getting a Himalayan cat? Here is a brief background of this long-haired breed also known as Himalayan or Colourpoint Persian. The Himalayan Cat first emerged in the United States, after breeders crossed the Persian with a Siamese. Two scientists at Harvard University initiated the crossbreeding in the 1930s and published the results in “Journal of Heredity”. The result of their efforts was not acknowledged by feline fanciers groups then. In the 1950s, the Longhaired Colourpoint was developed by Brian Sterling-Webb of the UK. His effort was recognised by the GCCF, which gave a boost to this cat’s development. In the US, Marguerita Goforth helped improve the new feline type further after producing a kitty that had Siamese colourpoints. It was then assigned championship status by the breed groups in the US in 1957. It was also at this time that the new development was named as the Himalayan. Whilst the Himalayan Cat has become popular in the US and other parts of the world, there are only few such felines in the UK. The fact that it is still not recognised by the GCCF plays a significant role. It may be because it is still considered a Persian, albeit with a different coat pattern. Nevertheless, the Himmie remains an appealing choice to a growing number of owners due to its laid-back and sweet nature and its magnificent appearance. The Himalayan Cat has the appearance of the Persian but with a colourpointed coat. Its medium to large-sized frame has a cobby structure. It has a round head and the same smushed-in face characteristic of the Persian. As such, it is also brachycephalic. The Himmie’s round eyes can be green, blue, or copper. Its coat, which is lighter on the torso and darker on the extremities, can be chocolate, seal, lilac, blue, flame, and cream. The shading is noticeably darker on its extremities—ears, mask, tail, legs, and feet. The Himalayan’s fur can be short or long, with the long-haired variety making it look fluffier. 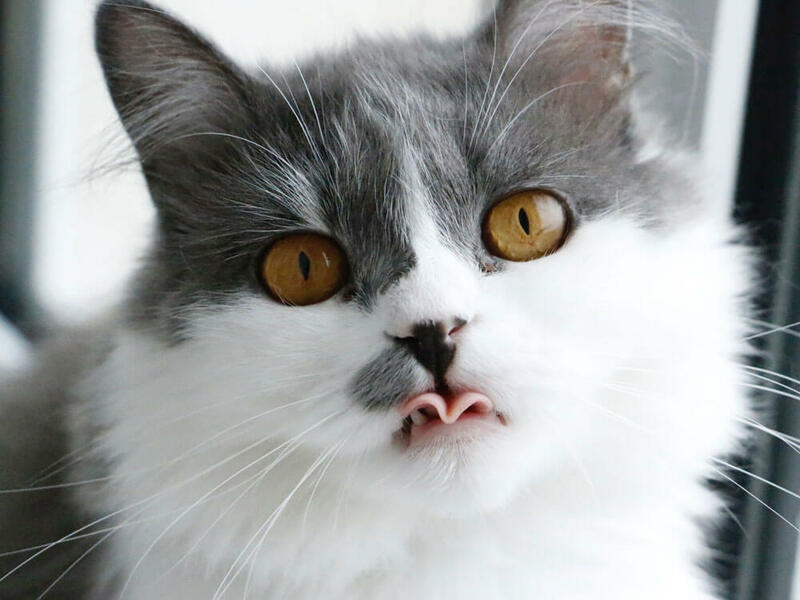 The short-haired types, however, are rather longer-haired than the typical short-haired cat. As such, the Himmie tends to have a fluffy, plush appearance. As the Himalayan Cat has a double coat that is longer-haired than other feline breeds, grooming needs to be done daily. This kitty must be brushed daily to prevent matting and keep its coat in good condition. Its eyes also need to be wiped regularly to prevent tear staining and stickiness in the eye area. The Himmie has a Persian temperament, with a light sprinkling of Siamese. It is a lap cat that loves nothing more than reclining on some furniture or lap and just relaxing as it pleases. It is sweet-tempered, calm, and likes attention. It may even be said that it craves human attention. This can explain why it likes to stay near its humans and be involved in whatever they are doing, which is a very Siamese trait. Despite its sedate personality, the Himmie does like to play. It is said that it is more active than its Persian relative as it has some of the high-energy qualities of the Siamese. But, even as it plays, it does not go into frisky territory. It likes to engage in a game of fetch and will find simple things, like crumpled paper, amusing. This cat is intelligent and very sensitive to its human’s moods. As such, it makes a wonderful companion capable of forming strong bonds. It also does not vocalise as much, but when it does speak, it does so with a soft voice. Good with children and other pets, the Himalayan makes a wonderful addition to the family. However, it may not do well with very young children as it is not a high-energy cat. The Himalayan Cat should be provided a nutritious diet that fulfils its daily requirements. It should be consistently given the same food following the same feeding times. If there are changes to its diet, those must be done gradually to prevent digestive problems. The serving portions should depend on the Himmie’s weight, age, and activity level. Its meals must include at least 25% protein and just 5% carbohydrates. The Himmie is prone to hairballs due to its coat length. As such, this cat should be monitored for furball every now and then. Including oil in its diet helps ease the movement of trapped hair outside its body. This feline’s weight should also be monitored. Being a laid-back breed, it is likely to put on extra pounds when its meal portions are not controlled or when it is not active enough. A well-bred Himalayan Cat will cost no less than £500. Average insurance expenses would cost £15 (basic) or £27 (lifetime) monthly. Food costs may range from £15-£20 each month. For vaccinations, boosters, annual checks and other veterinary costs, pet care costs may add up to more than £600 each year. On average, a Himalayan owner will spend about £40-£60 per month. The insurance costs can also affect this estimate. For its entire lifetime (10-15 years), the expenses can be as low as £4,800 to as high as £10,800 overall. This estimate does not include the initial costs incurred in acquiring this cat. Is a Himalayan Right for You? This beautiful crossbreed has the same temperament as its Persian parent breed. Its easy-going ways and ability to get along with older children and other pets make it a wonderful addition to the family. Its brachycephalic trait makes it vulnerable to breathing issues. The Himalayan Cat’s long hair needs daily brushing and makes it prone to hairballs. It is very adaptable and easy to amuse.